Last week, I posted a picture of this pasta dish I threw together for #NationalPastaDay & instantly, my Instagram dm’s blew up. People were requesting the deets, sis! 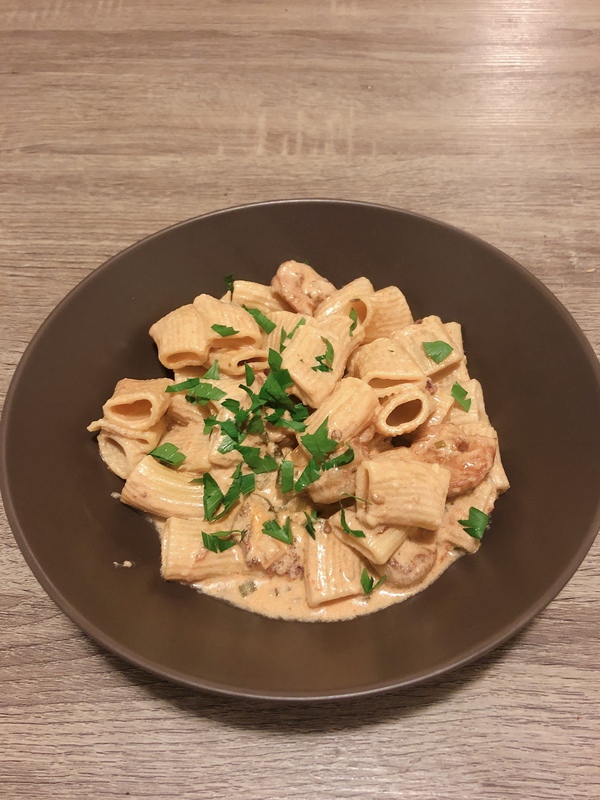 I made a shrimp rigatoni with a chipotle cream sauce; I was craving pasta but not the typical lemon-y, sun-dried tomato vibes I usually make. So we’re trying something new today! Start by boiling the rigatoni in a pot for 11-13 minutes. 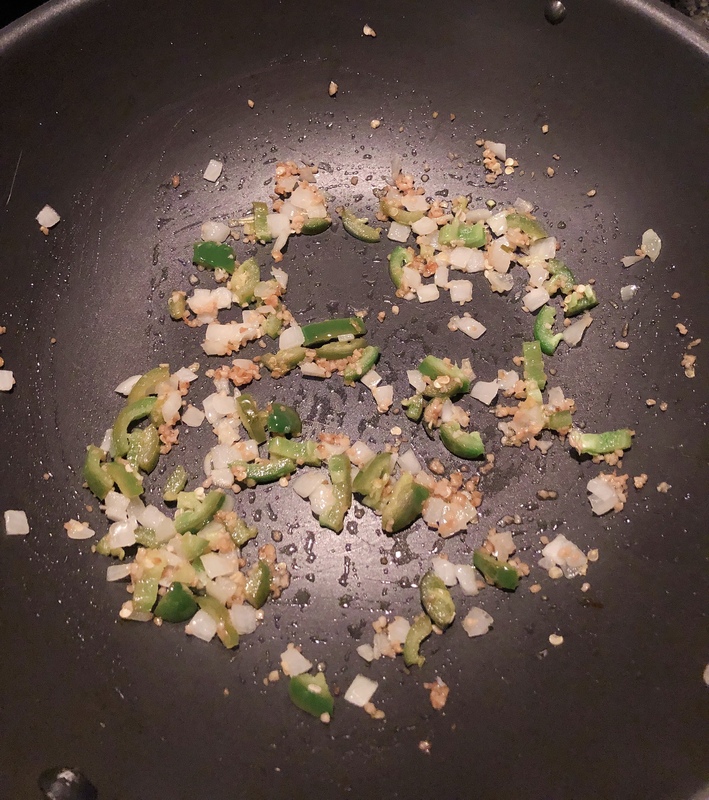 While the pasta is boiling, sauté the garlic, white onions, and the jalapeños on a low-medium heat. 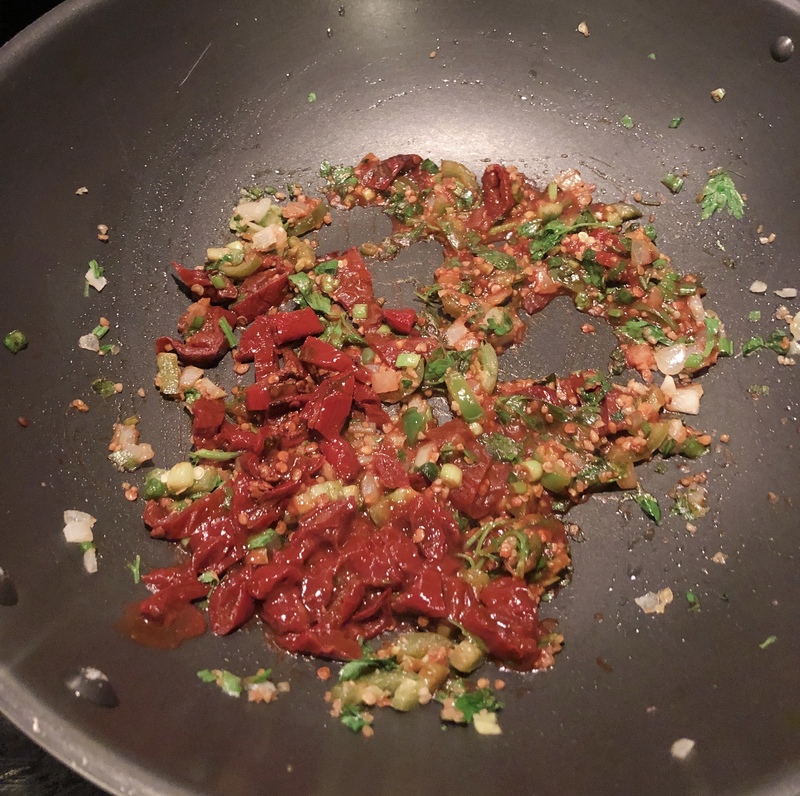 Sautéing the mix on a low heat ensures that the harder things (jalapeños, white onions) are done at the same time as the softer things (garlic, green onions). Then add the chipotle peppers and adobo sauce into the pan, sautéing them for about 3 minutes. 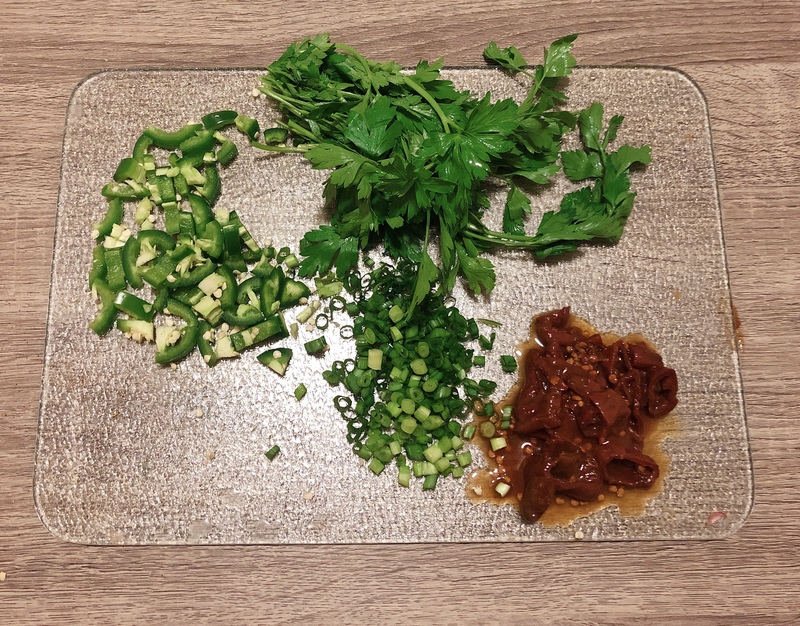 Throw in the chopped parsley, allowing it to welt. 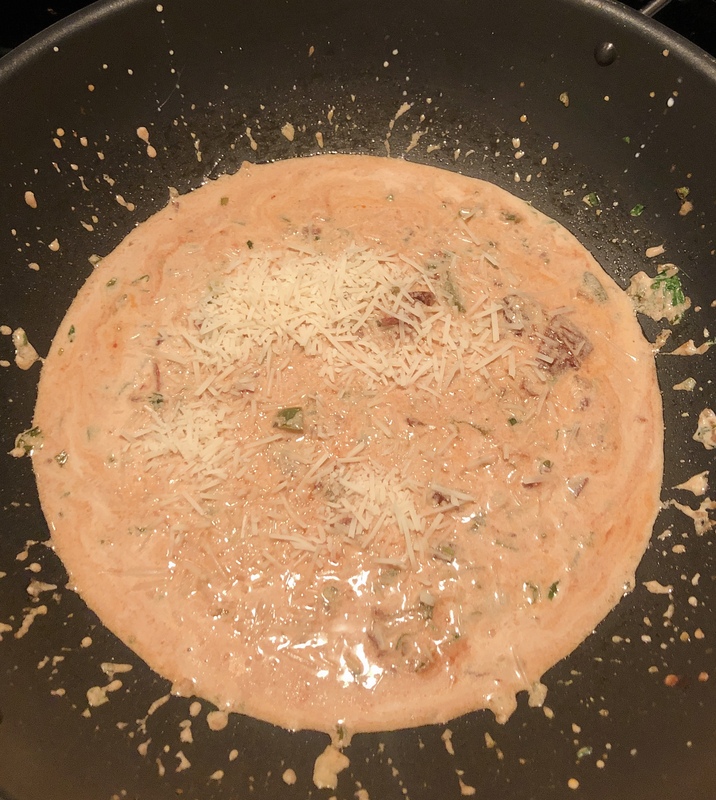 After the three minutes, add the half & half for the sauce, stirring occasionally. Since the shrimp are raw, I cooked them in a separate pan then added them to the sauce once cooked all the way through (about 3-4 minutes). 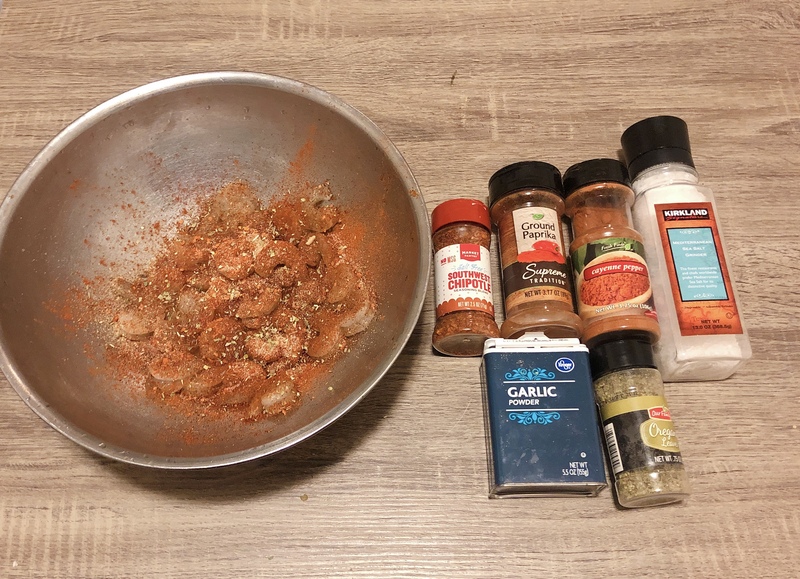 I seasoned the shrimp with cayenne pepper, dried oregano, paprika, garlic powder, southwest chipotle seasoning, salt & pepper. Once they’re done, add them to the sauce. After the 11-13 minutes, the rigatoni will be done. Remember a couple posts back, I told ya’ll to never rinse off your pasta after it’s done cooking? STILL APPLIES. PUT THAT PASTA DOWN. DO NOT TOUCH THE FAUCET. Add the rigatoni to the sauce pan & toss to coat the pasta. A creamy, spicy pasta that is so simple & so easy. If you’re not into seafood, you can replace it with chicken. Hope you enjoy this recipe guys, happy eating! ← Spooky Treats: Buffalo Chicken Dip.